New leadership books appear almost every week. But it’s unique and refreshing to read a new, in-depth volu me, based on both experience and research, setting a new paradigm for leadership in the twenty-first century. Such is the new book by General Stanley McChrystal, former commander of all American and coalition forces in Afghanistan. Co-authored with two former U.S Navy SEAL officers and a very articulate scholar currently at Cambridge University, this book describes how old models of leadership, popular and successful for centuries, have been forced to change in an era of instant Internet communication and terrorist tactics. The book describes how the military has needed to change but demonstrates how these changes must apply equally to corporations, professions like medicine, organizations and anyplace else where leadership occurs. This book is too rich, innovative and stimulating to summarize in a few sentences. Here is the background: McChrystal was put in command of what undoubtedly was one of the best-trained and disciplined military forces ever assembled. But the enemy terrorists kept winning, manned with relatively untrained individuals and small groups who appeared from nowhere to blow up shopping malls, military installations, schools and other targets. Then these perpetrators would be gone. They had mastered the use of free and accessible technology to communicate instantly before they died or disappeared. Almost overnight the elements of warfare that McChrystal learned in the military academy were largely powerless against a new kind of cyber-sophisticated and connected enemy. Especially irrelevant was the old micromanagement and chain of command that defined the military and still dominates so much of our culture. As I read I thought of leadership in higher education and adult learning, including ministry and counselor education. So-called leaders still micromanage, set visions and expect others to comply, follow the rigid innovative-squelching guidelines of accrediting agencies, and fail to see that a new technological age requires new methods, skills and leadership. 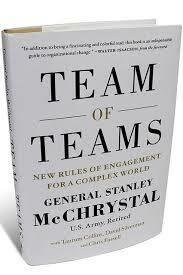 This is reflected in the title of the book by McChrystal and his colleagues: Team of Teams: New Rules of Engagement for a Complex World. Commands and guidelines from the top of a hierarchy are too slow. Models for counseling, ministry or coaching don’t always work. Individuals, teams and groups of teams throughout the system must be equipped and empowered to make quick decisions on their own. They need a new kind of leadership. Have any of you read this new book? Even if you have not, please comment. The summaries of contemporary articles and books are appreciated and should continue, especially if each leads to some practical conclusions. 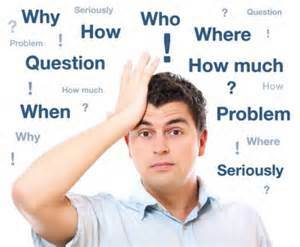 Roughly half of the respondents wanted personal perspectives gleaned from my years of experience. Examples include counseling Millennials, dealing with criticism, mentoring across continents, flourishing in the later years, and “Why a global perspective is absolutely essential in today’s world.” At any time you can send additional suggestions. I try to limit using the word “I” in most of the newsletters but apparently the Collins perspective would be valued. Some of the respondents had very good questions but on topics that may have limited interest to a broader readership. I may try to answer some of these privately or fit them into topics of greater reader interest. Nobody asked for more stories but these tend to be popular with writers, speakers and their audiences. Expect a few more. Nobody asked for advertising or a newsletter that blatantly markets my books or myself. For other bloggers this is OK. Don’t expect more here. Here are things I’ve been learning about blogging. To keep posts relevant, blog writers (this could include you) need to know who their readers are and what they want or need. Decide whether you can provide this information and how. Shorter blogs, especially those with bullet points are more often read than long, dry text. Be consistent in your timing: Sporadic posts rarely get read. Titles matter. So do images, especially photos of people. Titles and images catch and hold readers who can always click and go elsewhere if the post looks boring. One more: it’s important to get feedback from readers. That’s you. What would you add, based on your role as a blogger or as a blog reader? Please leave a comment. Now a postscript on this holiday weekend. Happy Canada Day to you who are Canadians. Happy Independence Day to Americans. Happy both to dual citizens like me. And Happy weekend to everyone. Newsletter #502 – Do You Still Have Time to Change the World? Have you noticed how some politicians become statesmen following their years in office? Bill Clinton was controversial when he was president but he seems to be turning into one of our better ex-presidents. In a Time magazine cover article (October 1, 2012) Clinton shares reasons for his optimism that the world is getting better. 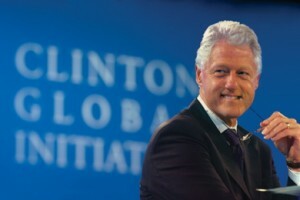 He describes the work of CGI, the Clinton Global Initiative. Thus far it has distributed almost $70 billion and last month brought together Barak and Michelle Obama, Mitt Romney, the new presidents of Libya and Egypt, plus 50 additional current or former heads of state and others committed to improving world conditions. Healthy communities that prosper. Examples show how major health crises are being combatted and averted in Haiti, Africa and elsewhere. Green energy that equals good business. How does this relate to us or to the people we work with? Younger people seem more motivated to make a difference in the world but shouldn’t this concern everybody, regardless of age or circumstances? Might God have a purpose for putting each of us here, at this time, in the places where we live? Couldn’t we make a difference in our worlds even without the international contacts or funds to replicate what CGI seeks to accomplish? Please ask yourself, “At this place in life what can I do, however small, to make a lasting difference?” Others can sharpen your vision and help you take action. As long as you’re alive there is time to change the world. Please leave a comment. 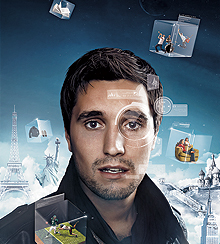 This is more than futuristic fantasy or interesting sociological analysis. C-generation connectivity already is impacting how we relate, do business, educate, learn, work, lead, make decisions, run political campaigns, engage in therapy and live our lives. Corporations, healthcare, travel, entertainment, diplomacy and even governments will be forced to change as 24/7 connectivity and social networking become the norm worldwide. What does this say about the way we manage crises, make ethical decisions, evangelize or do ministry? What are some practical implications? The more overwhelmed, anxious or the older we get, the more we are likely to resist, deny or ignore changes like these. And the more irrelevant we will become. Ignore trends like these and we become reactive, deluged by the changes. Better to be like the wise leaders of the Old Testament tribe of Issachar who “understood the signs of the times and knew the best course…to take” (I Chronicles 12:32). They understood the trends as best they could and were proactive in adapting and making changes. No one person can keep abreast of all the changes so we connect with others who are knowledgeable where we are not. We trust in God who has put us in this place, at this time, for his purposes, to be part of this social revolution. See this as an exciting, incredible time to be alive, living, leading, and encouraging others. How are you handling these changes? Please comment. Every year Time magazine selects a Person of the Year” who has made the greatest impact (good or bad) for shaping our world in the prior twelve months. 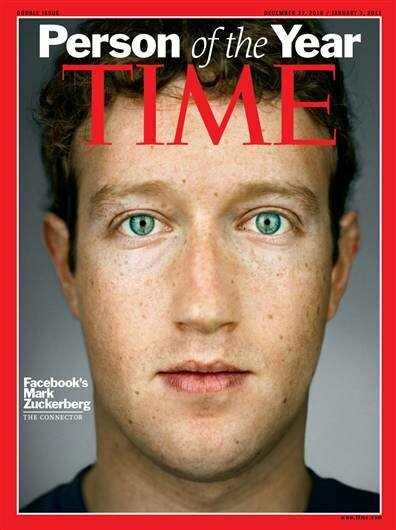 The winner this time was 26-year-old Mark Zuckerberg, founder of Facebook. 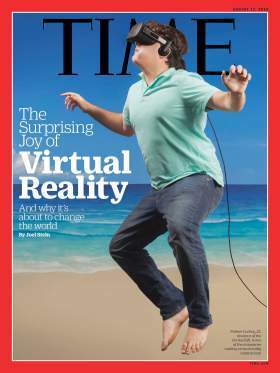 Over the holiday season, his face has stared from the cover of Time in newsstands around the world. If that is not thought provoking enough, consider how the article ends. Zuckerberg describes conversations in college where everyone agreed that eventually the world would become open like it is now. “Why were we the people make this happen?” he asks. “That’s crazy.” Then he paused and added “I guess what it probably turns out is, other people didn’t care as much as we did.” Ponder that. Please share your comments on the above or on the Time article. Gary’s Newsletter #400 – Is Faceboook Killing your Soul? Our brains and ways of thinking are being remolded neurologically by the constant stimulation, overloads of information, and incessant bursts of short term messages that undermine our ability to concentrate or think in depth. New neural pathways are formed as we “abandon sustained immersion and concentration” but “dart about, snagging bits of information,” continually surfing the hypnotic Internet. (Nicholas Carr and NYTimes). Digital devices and the myth that multitasking increases efficiency (the opposite is true) leave us fatigued and less able to learn, remember, and come up with new ideas. Gym routines accompanied by television and iPod docs are less effective than outside workouts or exercise without digital stimulation. 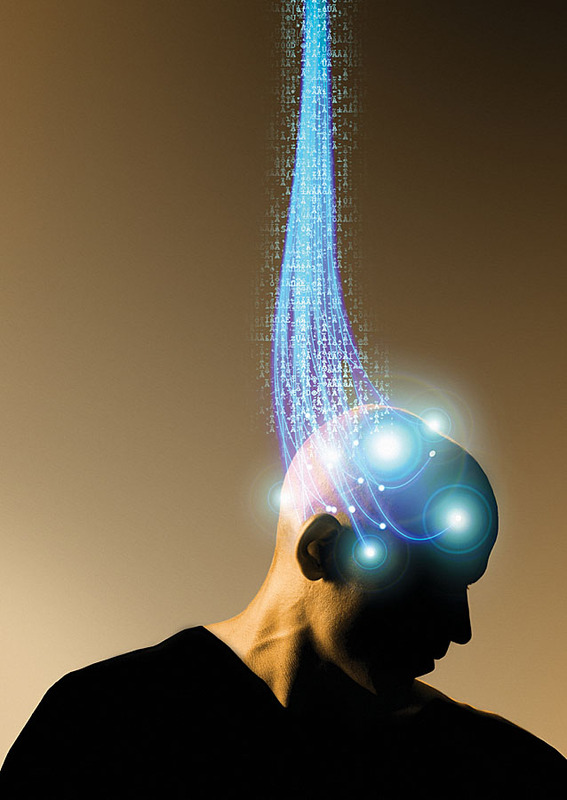 (See NYTimes and Spark: The Revolutionary New Science of Exercise and the Brain). The Relevant article argues persuasively that social technologies can build a subtle narcissism, exhibitionism, self-absorption and neurotic co-dependency. None of this was relevant In 2002 when this newsletter started as a one-way commentary sent to the email boxes of students and professionals interested in counseling and coaching. Facebook did not exist when this letter began 400 plus weeks ago. Blogs were rare compared to today. Electronic readers and interactive hand-held devices were still novelties, unseen forerunners of new kinds of communication. The benefits of these new technologies is widely acknowledged, writes Relevant author Shane Hipps. Because of technology we read, learn, interact and think differently than we did before. Many in our technologically-connected culture only see the benefits but seem “utterly blind to the liabilities, the inevitable losses that certain technologies bring.” How does this impact your education, business, ministry, or people helping? Please leave a comment.